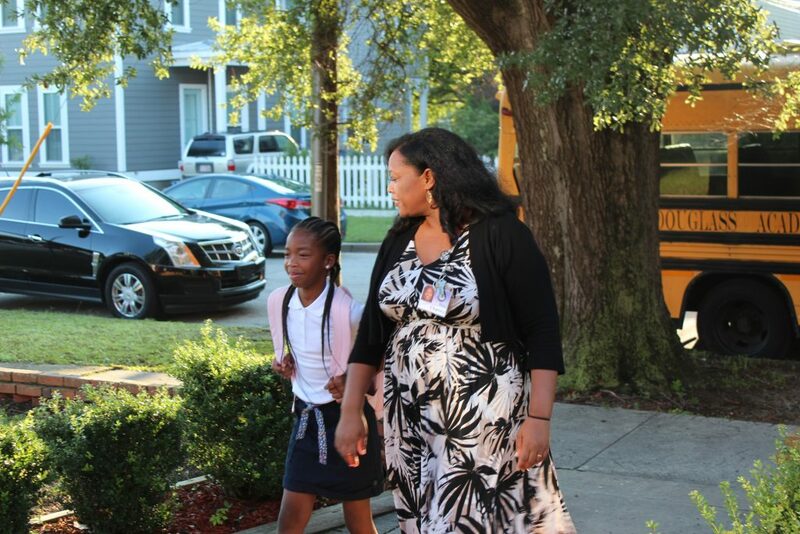 Wilmington, NC – Douglass Academy students returned to school on July 19th, 2018. Students arrived at school while teachers and volunteers stood outside greeting them. At 8:00 AM all students recited school pledge. This is the first year Douglass Academy is on a year-round schedule. Year-round schedules aid information retention while providing students with shorter periodic breaks during the year for rest. Located in downtown Wilmington at 6th and Red Cross Streets, Douglass Academy is in its sixth year as a school of choice having a program of classical education for kindergarten through 5th grade. With parents in North Carolina having the freedom to choose – tuition free – where their children are educated, Douglass Academy is a public charter school that draws nearly 150 students from the greater Wilmington community.